Health Sciences – Respiratory Therapy Concentration, M.S. 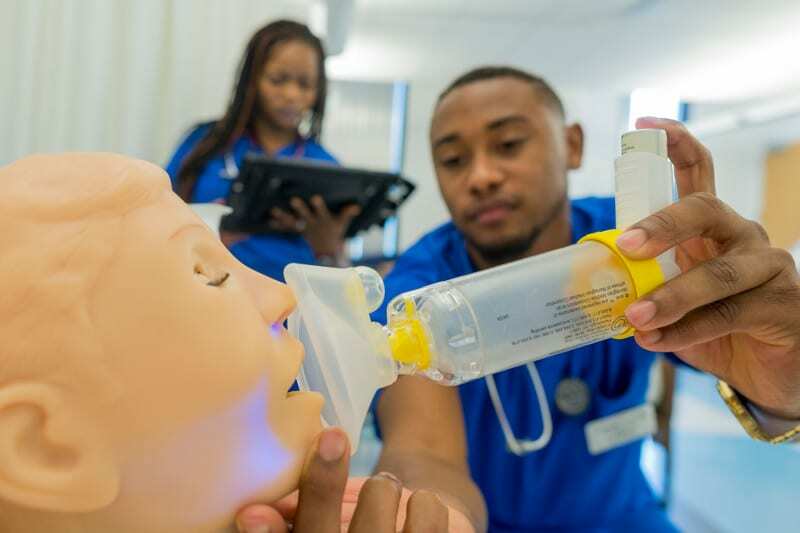 The Department of Respiratory Therapy offers a Master of Science in Health Sciences degree, with a specialization in respiratory care, to prepare future faculty in the profession, as well as advanced clinical practitioners. The Master of Science degree with a concentration in respiratory care offers the opportunity for credentialed and experienced practitioners to obtain an advanced level of knowledge in the technical area of respiratory care. The program also is intended to provide the ability, knowledge and skills for continued scholarly inquiry within the discipline of respiratory care. For the latest information about required courses, view the Department of Respiratory Therapy website. to enhance the ability to perform in the clinical site at an advanced level and assist physicians in clinical respiratory care. to produce a graduate able to perform as faculty in vocational/technical schools, AS and BS degree respiratory care programs. to develop the ability to examine the scientific basis of respiratory care procedures and evaluate technology used in respiratory care. Faculty in our programs integrate critical thinking and simulation into teaching and research to provide students to opportunity to excel in the profession . Our location in downtown Atlanta provides students with the opportunity to perform their clinical practice at some of the leading healthcare institutions in the southeast including Grady Memorial Hospital, Emory Healthcare, Northside Hospital, Piedmont Hospital and Wellstar Health Systems. Our faculty are state and national leaders in the respiratory therapy profession. The level of scholarship and research is second to none. Students have the opportunity to assist in research, publish research as well as to participate in professional lectures and presentations around the country. Visit the catalog for a list of courses, requirements and options. The Department of Respiratory Therapy holds Full Accreditation from the Commission on Accreditation for Respiratory Care (CoARC).